Alex a la mode: Hello 2018! So 2018 is going to be the year I refocus on this little corner of the internet! I have neglected it for far too long, but I feel ready and refreshed to create more content, so hopefully you’ll stick around! 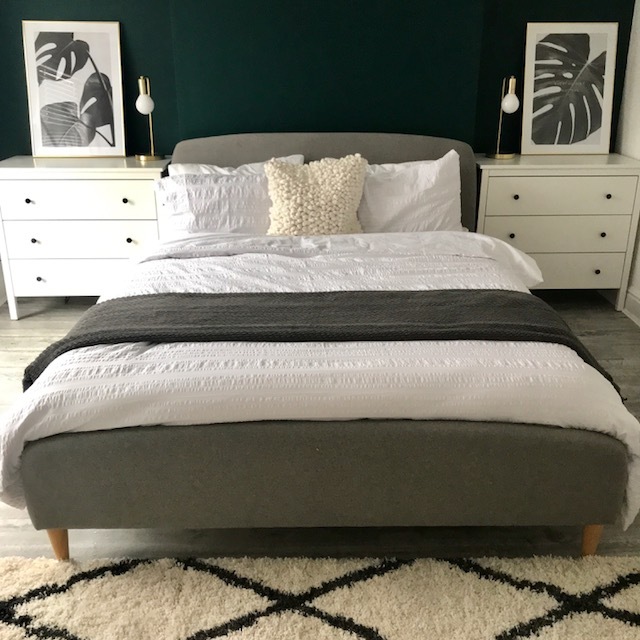 Interior design is something I have always been interested in, and I have been able to indulge in that passion since buying our house nearly two years ago. There’s still lots to do but I am really enjoying creating the space that we want to live in. So now for the update - we finally moved into the main bedroom last month after the downstairs taking priority, and I am so happy to finally have a calm and uncluttered space to go to sleep in. Here’s some before and after pictures of our makeover, from the estate agent pictures from the previous owners, throughout the DIY process and end result! 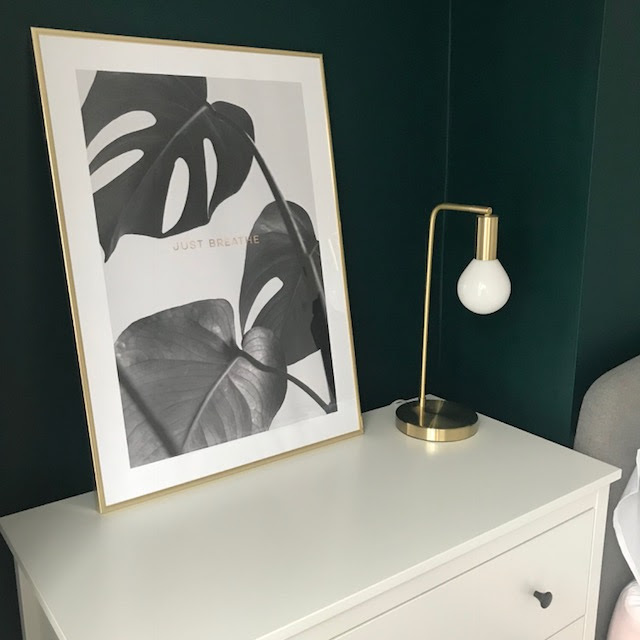 I was toying with having a completely all white space, but after going dark blue in the back room downstairs, we started thinking about something similar with a dark green feature wall and I’m glad we went through with it! The paint is Sacred Grove by Valspar and although it took a few more coats than we wanted it to, I’m so pleased with the end result and it’s the perfect shade, exactly what we had in mind! I’d also just like to take a moment to talk about our Eve king-size mattress. I bagged this in the Black Friday sales and it is up there as one of the best things I’ve ever bought. I was quite concerned that it would be too firm but it is the perfect balance between firm enough to support your back and soft enough that it feels like sleeping on a cloud! So if you’re in the market for a new mattress, I would highly recommend an Eve! There’s still a bit of accessorising to do, and we currently don’t have any wardrobes (!) but I will keep you up to date on that front. Our next big project will be the bathroom, which quite honestly was nearly a deal breaker for me when buying the house. But hopefully, this year we can turn it into something I don’t dread looking at every morning. I will be sharing more and more updates over here so please do check back in! Nice bedroom makeover. I love the bedding products you have used.